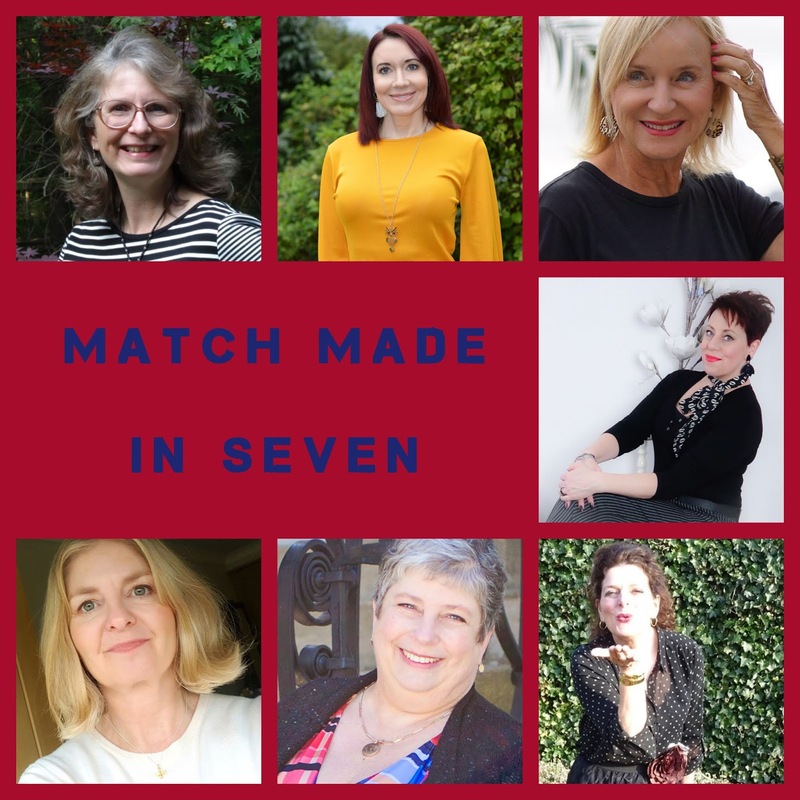 Welcome to the monthly edition of Match made in Seven! We are an international group of fashion bloggers who meet once a month. One of us chooses a theme in turn, and that can be anything. A book, music, a color, a movie. And then we style an outfit based on that theme. The theme of this month is chosen by Debbie and is: Accessories Make The Look! 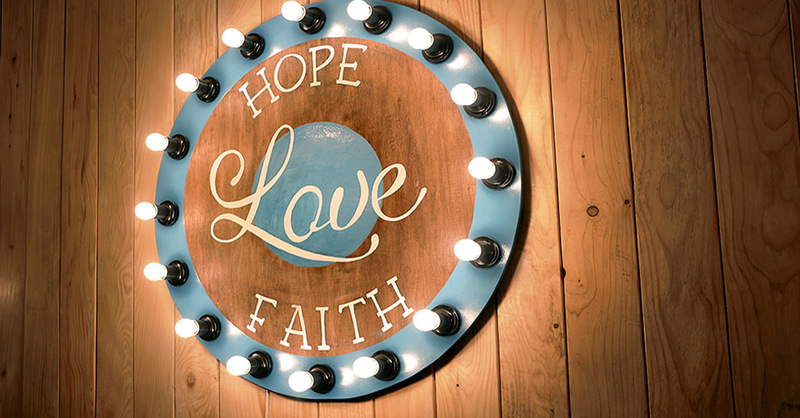 Also, take a look at the other bloggers and how they have interpreted the theme this month. (See list at end of post). I'm excited to be able to choose the theme for this month because accessories are near and dear to my heart! I am definitely an accessories girl who believes that the right accessory can bring a little extra "oomph" to any outfit. 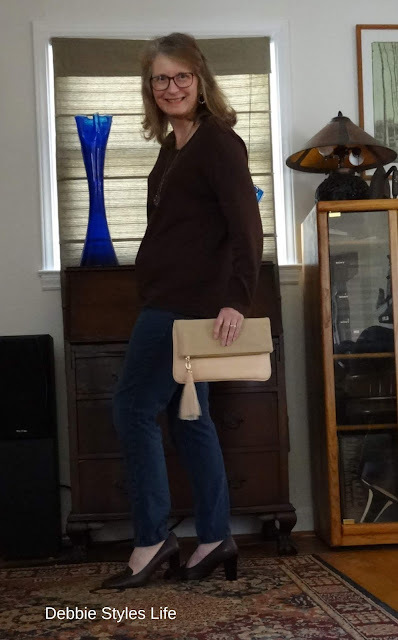 I'll be taking a very basic outfit of jeans and a brown long sleeved tee and showing how it can be styled to look very different depending on which accessories are worn. Here, I'm keeping it simple with a necklace, bracelet and brown flats. Pretty low-key styling. Adding brown heels and a cute peach color tassel clutch brings the style up a notch, don't you think? Heels have a way of always making any outfit look dressier, don't you agree? Nothing like adding some bold pops of color with a flowered kimono and red booties. And some extra red with the addition of the straw purse. To me, the outfit looks totally different than in the first picture. And, look at how the outfit instantly changes with the addition of some bright shades of pink. I love this Spring-like look! Which styling was your favorite? Please take a moment to leave a comment. I love hearing from my readers! And be sure to visit all of the other lovely ladies and see how they styled this month's theme! I'm like you...accessories are the fun part of getting dressed. And especially with a pop of color!! Great example. Greet job of showing how to wear iT and the difference iT makes! I agree, it's fun to play with accessories! I love the red straw bag and boots! If you notice that lovely springy kimono missing from your closet - I DIDN'T TAKE IT. 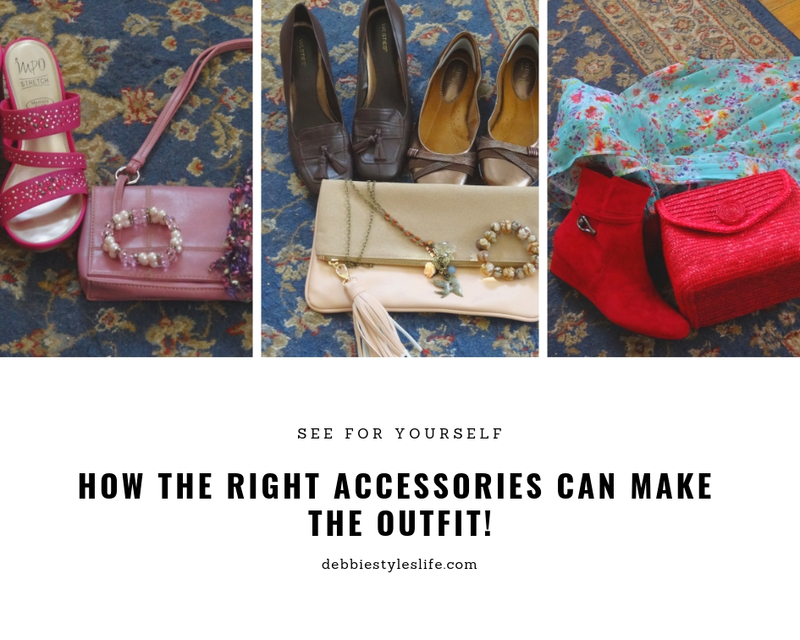 Isn't it fabulous to see what accessories can do for a look! 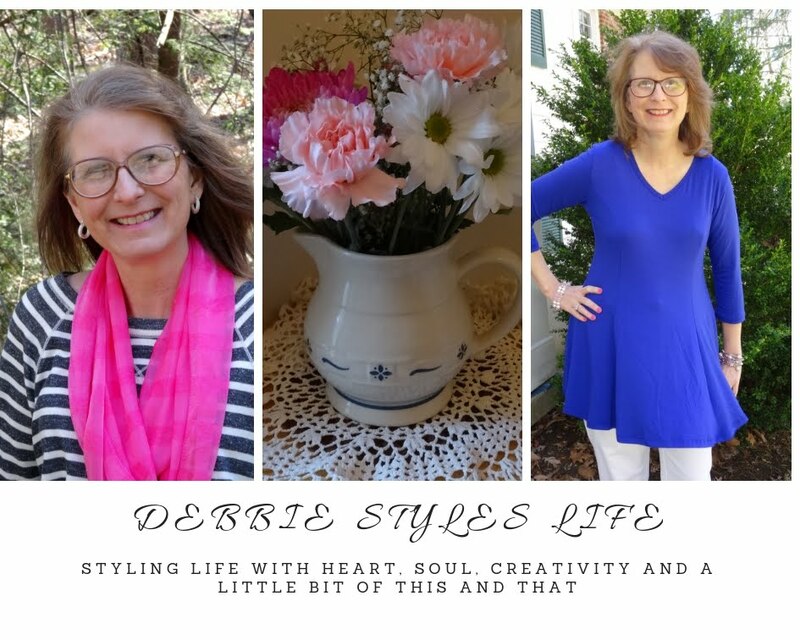 You choose a perfect theme Debbi because I wore last week more accessories then I ever did! 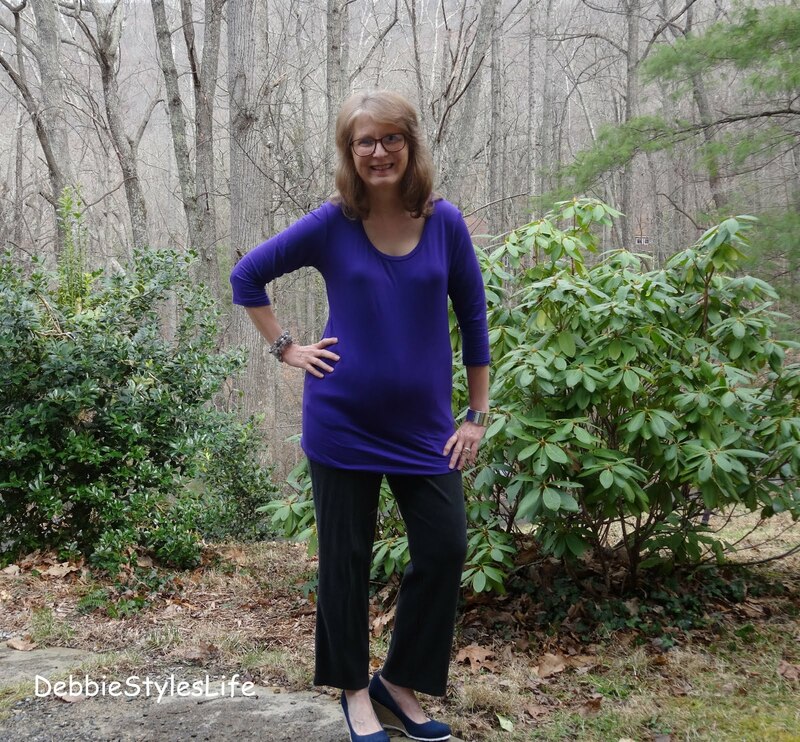 It's amazing the different looks you created starting with a simple long sleeved tee! I find myself being drawn to brown and pink when I visit fabric stores. I haven't really thought about pairing those colors in clothing, but now I have the inspiration from your post. 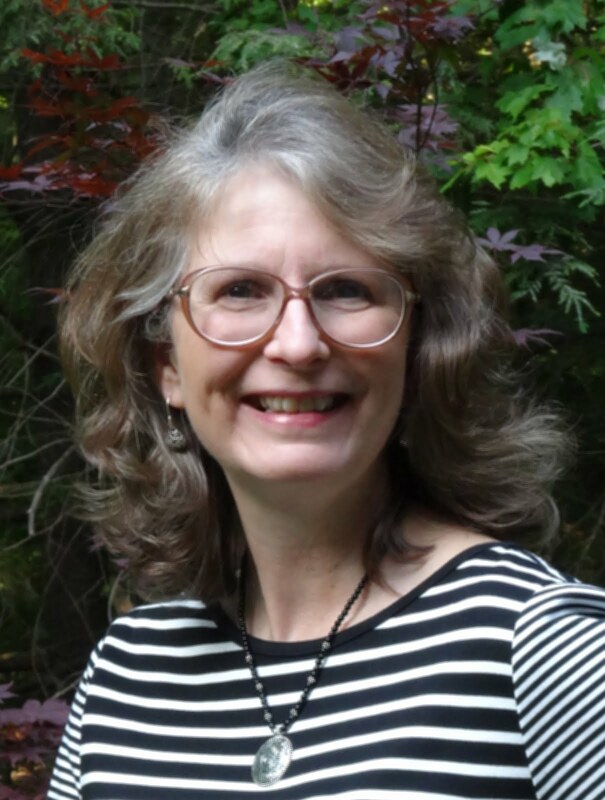 I look forward to your collaboration each month with the other bloggers! Debbie, I see you did what I did--started with a basic layer and then added accessories. Great minds think alike!! Lol! Those red booties and bag with the kimono really stand out and make a statement. Thanks for coming up with a very doable theme!! Oh, I so love those red boots. They are a wow accessory for sure.